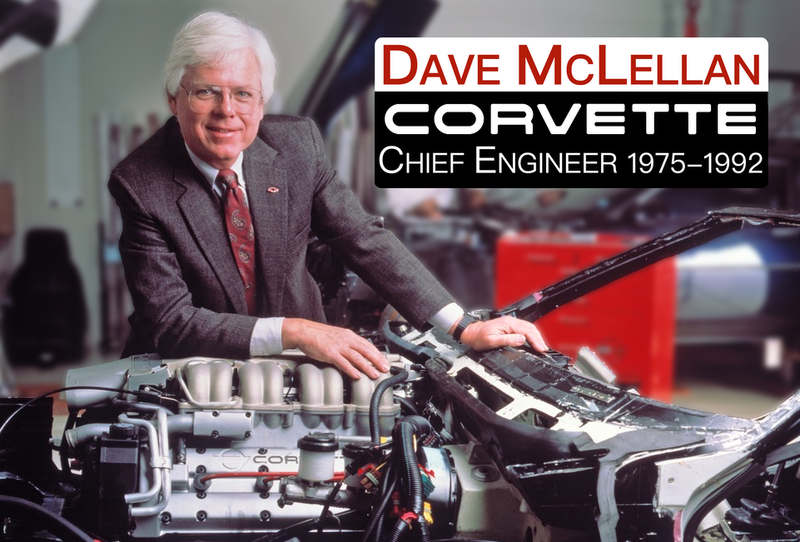 In this second episode of the Corvette Chief Podcast, Dave shares audio from a 1960 Test Drive given by Zora Arkus-Duntov of the 1961 Corvette. This entry was posted in podcast and tagged Arkus, Arkus-Duntov, corvette, dave, Duntov, history, mclellan, Zora by dhubcap. Bookmark the permalink. Dave. I have wanted to own a Corvette for almost 50 years–Finally, I have a pristine C5, and I love it. Thank you for this site. time with his funny european accent! the tires sqeal under the power, awesome! Thank you Dave for setting up this site. I know you have many stories about the CORVETTE AND ZORA that we will be waiting to hear. Keep them coming. The sound of that 315 HP 283 FI engine was great. It is 17 degrees outside and snowing. You can’t believe the joy the sound of the 61 Vette brings. Thanks for your many years of devotion to Corvette and, now, for your involvment in this website. Driving my desk in this little burg between Chicago and Milwaukee took on a whole new excitement as I listened to Zora go through the gears in a ’61. Thanks for the website, really brings back memories. I have been a loyal Vette owner for the past 47 years, the first vette was a 61 315 fuelie which I took delevery on in November of 1960. She was black with silver coves and red interior. I received the little plastic record with the car which somehow over the years has disappeared.Hearing it again brought tears to my eyes. Since the 61 I have owned a 63 split window, 66 big block 425hp roadster, 78 pace car, 91convertible and now my trusty 99 c5 hardtop. keep the articles coming. Thank you for starting this podcast. Sure brightens up a cold winters day listening to the chevy engine. I have read your book three times and still learn something new each time. I have a 95 with the LT1, and hope to purchase a ZR1 this year. Of all the Corvette eras, I love the C4 the best. I will be waiting for your next podcast. Thanks again. That was great Dave!! It makes me wanna’ jump in my ZR-1 or Z06 and just go for a drive….for it not for the snow, I would. At least now I can put a voice to the face. Zora lives through all of us enthusiasts!! That 61 sounds good, and with Duntov calmly talking about the features and such…well it’s just too cool. Thanks for making it available to us. And yea, it makes me want to go out and fire up the Vette and take a spin. Its cold, its snowing and its time for some kind of up lift. Living in the northeast makes for a long winter especially when I have an 2002 / C5 sitting in its own heated garage. My love started when in 1953 you people came out with the vette. I was 13 years old at that time, and 50 years later my dream finally came true. Hearing the 61 again brought a joy to my heart. Thank you, Thank you, Thank you. Thanks for making this great recording available. For about 30 years I have had a very tired cassette copy of a copy of a copy of the original record, so it is great to hear it in its original quality. It has always produced goose bumps from the first hearing, and they just keep getting better! The 58-62 model years represents my favorite of style and performance for the corvette. It is something with the simplistic and pure genius of corvette and Zora’s work. The days of my childhood riding in my fathers 58 all comes back listing to this recording. Thank you for retuning timed memories. We have a 61 vette and also have the sounds of Corvette record with the jacket and would like to know did every 61 come with this record ? and how rare is this record and any other info you know about it. Our car is restored but is a driver we use it every-weekend. You asked about the value of the Sounds of Corvette record. I have no idea what its value is but if you go to Ebay and try to but it you’ll find out. Keep up the good work on interviewing Corvette racers of days gone by. They all have a special story to tell that needs to be captured. Zora’s drive in the Corvette reminds me of the time of our first meeting when I drove Zora in my 63 and Brian drove your charming wife in the Fun-Fest parade. Zora’s first words in my Vette were, “ehhhhhhh, high perrrrformance” as he checked out the tach. What a treat for both myself and my son. Thanks for the memories. Friends of my parents had a 58′ and gave me their promotional copy of this when they received it. I was thrilled. I played it until it wore out and have been looking for another copy ever since. The origional promotional record they received was a pressing on a square piece of very thin flexible white plastic sheeting. I believe I have since heard portions of this recording used in vintage Hollywood car chase scenes, thanks to resourceful studio effects mixers in Burbank . Thank you very much for making this available on your Website. Just found your blog, and this recording brings back memories of listening to it during my childhood. My dad had a cassette recording of this record, and his first Corvette was a new 1961 315hp FI. In 1963, he traded it for a 1964 327/365 Convertible, which he still owns, but he still speaks very highly of the 1961, which he ultimately believes was faster. It had all the “racing” options. Hi Dave – I have this record, which was included as a supplement in an early edition of Corvette News. I do not believe it was distributed then in any other way. Jim Prather of Vette Vues fame had a tape of it available some time ago. I enjoyed listening to it, as it was the first time I have had that pleasure. My record has never been played, as I do not want to damage it.I have experienced some of this first hand, in my ’63 FI Coupe and my ’64 FI Tanker with a 3:08 rear gear that does an easy 95mph in second gear with a little left.